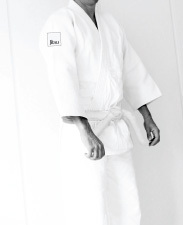 Jitsuka (people who train in Jitsu) wear a white uniform called a 'gi'. Loose fitting clothing such as t-shirts and tracksuit bottoms are perfect if you are starting training and have not purchased a gi. They can be usually bought through the club and cost £15-£20, which includes a white belt. The first things you are likely to learn is some simple breakfalling so you can learn to be thrown without hurting yourself, simple defenses from grabs to the wrists, hair and ears, and then defenses to punches which includes learning 4 simple throws. Don't worry if you can't do everthing perfectly right away, no one can. 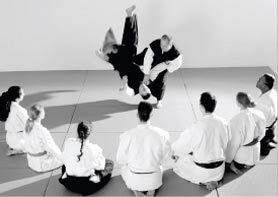 Remember that even the most experienced instructors all started at the beginning. As you progress through the grades, you will learn how to defend yourself against bottles attacks, cosh and knife attacks, even chairs, chains and wooden swords. Advanced training involves multiple armed attackers. You will also learn advanced breakfalling so you are able cope with falling from advanced throwing techniques.